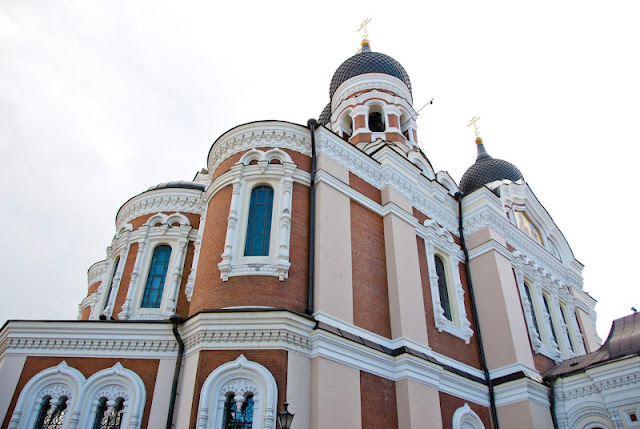 I hope that you have been enjoying the series of my Baltic cruise. We now have come to Part 7 (Stockholm) which was our last port of call. 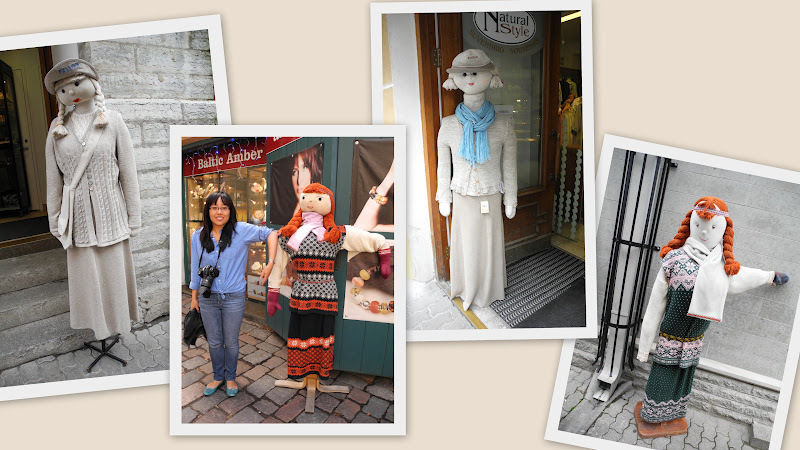 I must confess, making these travel posts was a lot of work. I had to skim through over 3000 photos, take out the best edited photos...compile them in a meaningful and visually-appealing way. 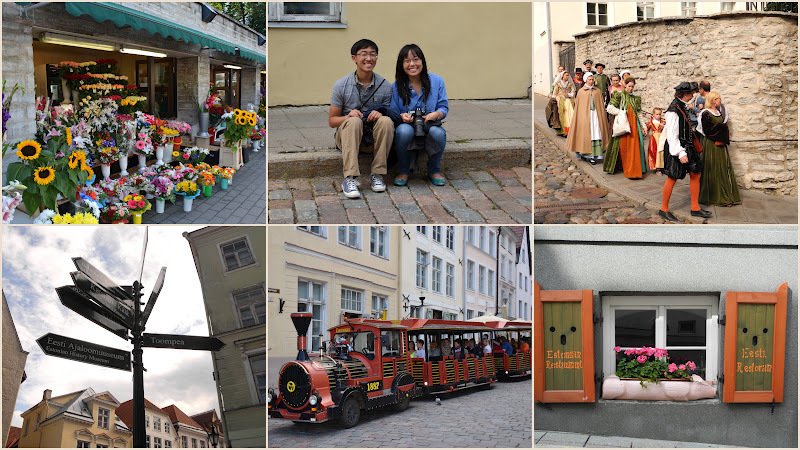 However, I find that through the posting process, it is so fun and meaningful to reflect on this amazing trip and I even learn a few more things about cities that I had just visited. Thank you for all the wonderful and positive feedback. One of the followers Harriet's response from my previous travel post warmed my heart particularly. "Thank you, Virginia, I got to "see" a city I will never visit. Yes, the weather vane is exceptional. Today I bought a copy of "Catherine the Great"....I've been waiting for it to be published in paperback. I took another look at the hermitage to get me in the mood for this book. Thank you, thank you!!!!" With that wonderful comment, I now present you Part 7. 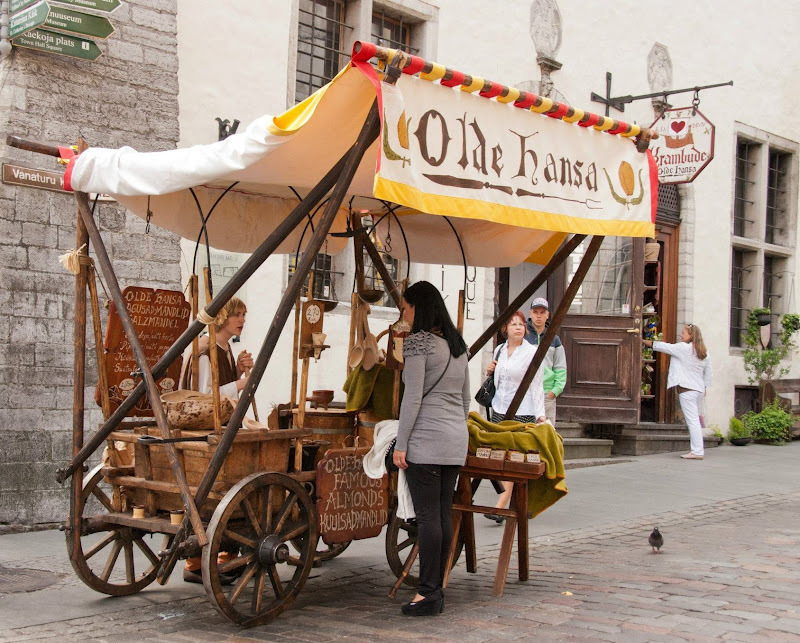 As you know, Sweden is the home of IKEA, ABBA, Bjorn Borg ...and the origins of many innovations and designs. I have always been fascinated by all things Swedish whenever I step into an IKEA...Well, this trip is all about Stockholm without anyone mentioning IKEA. It's simply because there are so much more to learn about this wonderful country, IKEA is only a small part of Sweden! 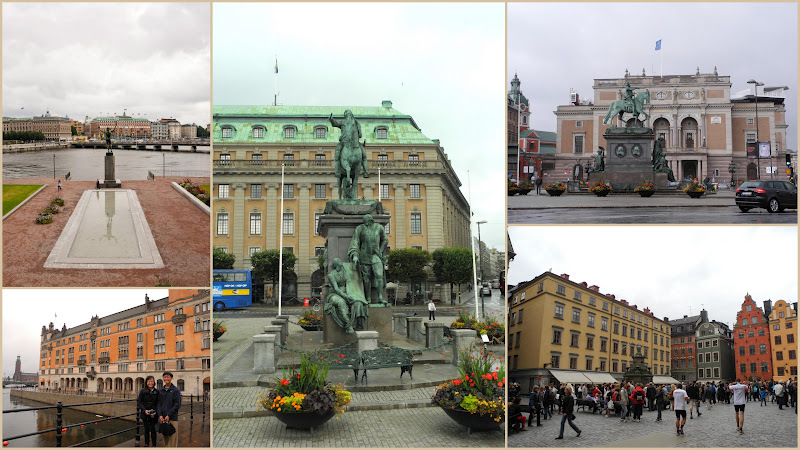 When our cruise ship docked at Nynashamn on a very rainy day, we had to take a tender boat to get on shore, then the kids and I (Dr. John experienced sea sickness that day and missed visiting Stockholm) joined the excursion and took a 45 min bus ride to Stockholm. 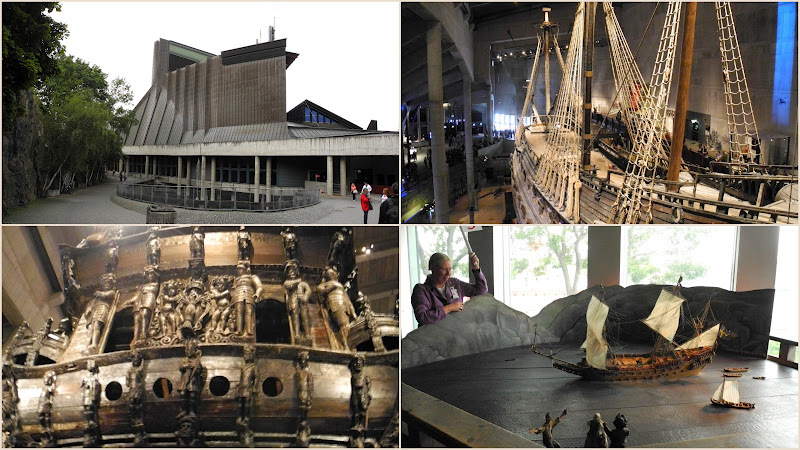 Our first destination was the Vasa Museum. This maritime museum displays the only almost fully intact 17th century ship that has ever been salvaged, the 64-gun warship Vasa that sank on her maiden voyage in 1628. The Vasa Museum opened in 1990. The building itself is quite impressive. 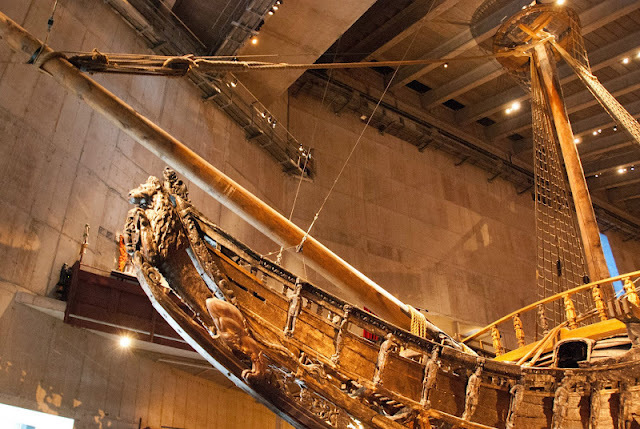 The main hall contains the ship itself and various exhibits related to the archaeological findings of the ships and early 17th century Sweden. 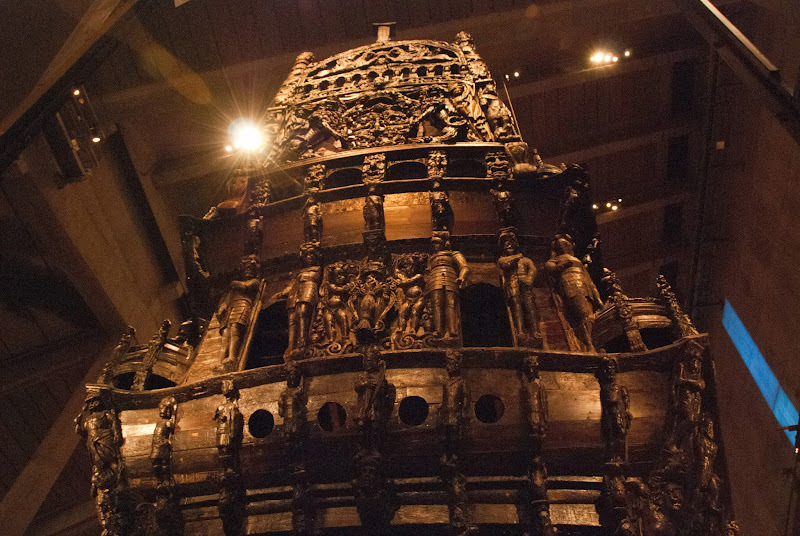 The museum is dominated by a large copper roof with stylized masts that represent the actual height of Vasa when she was fully rigged. I am not a fan of Maritime museums, but I couldn't help being in awe when I saw the size of the ship and how it is now being displayed after it sunk in 1628. After the museum, we were free to roam about downtown Stockholm on that Sunday. 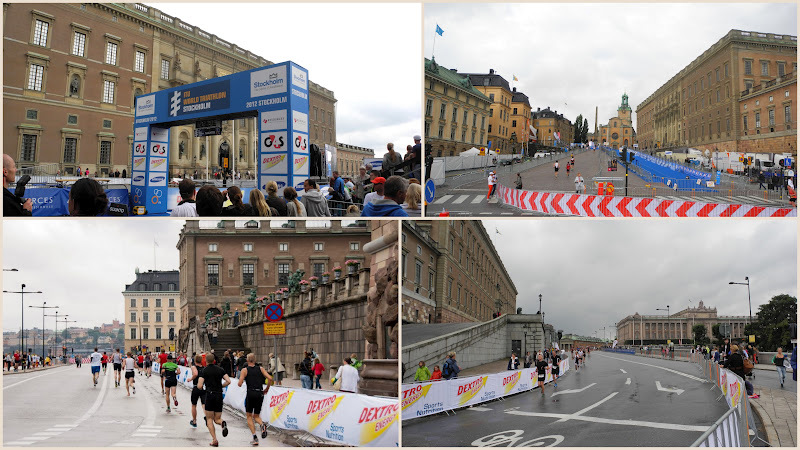 And this is what we saw...rain or shine, the ITU Triathlon was going on. These super fit Swedes, young and old, were doing their thing and try to reach their personal best. We had to wait between the breaks to get through the streets. Eventually, we decided to hit another museum since the weather was not so great. The kids and I were excited to find the Nobel Museum nearby. This is the entrance of the Nobel Museum which was opened in 2001. 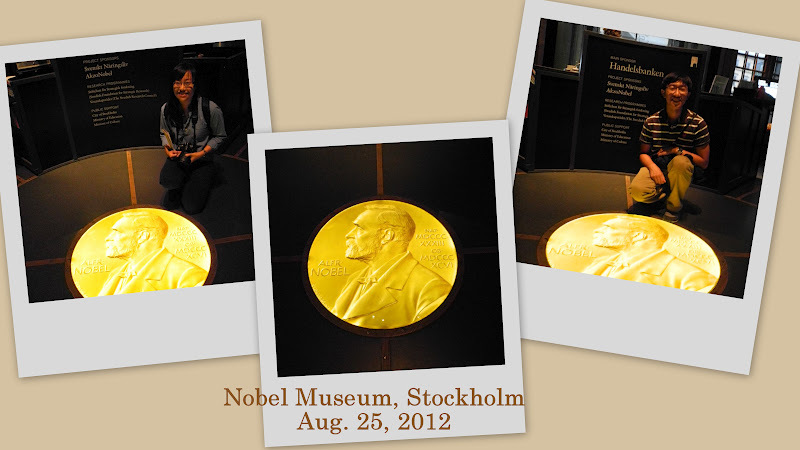 Inside the museum, very cool and inventive displays of the Nobel Laureates from 1901 to the present. Stephanie kept saying how much she loved the way of displaying the Nobel Laureates work through the train-like moving tracks in the ceiling. 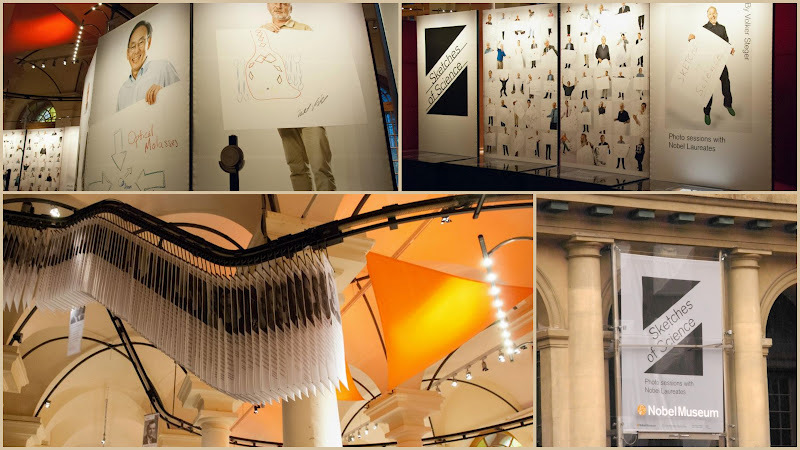 The museum offers exhibitions, films, theatre plays, and debates. I managed to get some practical souvenirs...GOLD Nobel Chocolate Medal! This is the closest to the Nobel medal that I can get--ha! Later Dr. John tasted the chocolate and find them just "average quality, not prize-winning"! 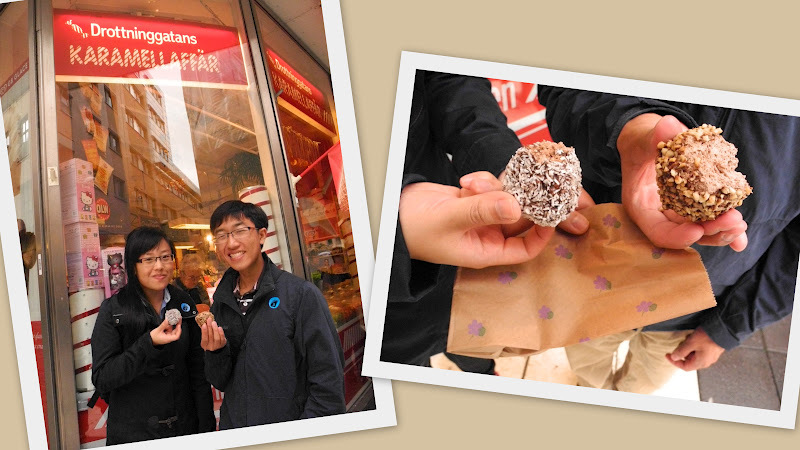 After the museum, we hit the streets and bought ourselves some treats: nuts and coconut-coated chocolate balls! YUM! Announcement: Market Street Stamps giveaway result (check under the blog header)! Winner is #43 fun stamping (Cornelia)! Congrats! Hello, friends! Today is another edition of CAS-ual Fridays! This one is like NO other! Why, you ask? Because the theme is SO fun and so YOU!! The challenge is to create a CAS project based on.... your own blog header! No blog? No problem! You can use the CAS-ual Friday's blog header ! How cool is that!? Well, for me, it is a bit of a challenge, as you can see. I almost felt stumped that I wanted to change my blog header (LOL)!! BUT this design came through and so I will just go with it! 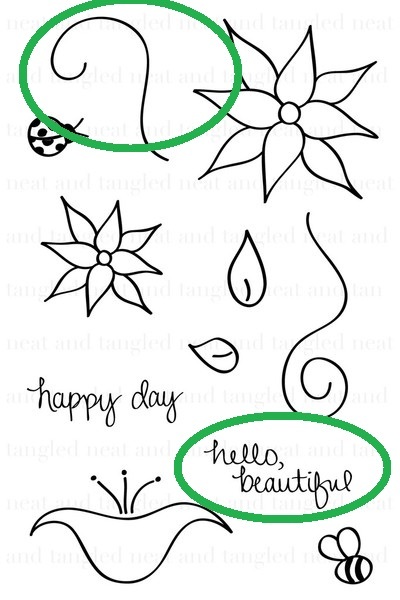 Stamps: Little Tangles (Neat and Tangles), heart stamp ( Hero Arts). About this card: I embossed Tangles in white and attached the stamped heart (with droplets of Liquid Pearl) with pop dots. Add the stickers! About my Blog header (in case you are curious): my daughter Stephanie is an avid photographer. About two years ago, she wanted to take photos of Scrabbles for practice purpose. I asked her to spell out my blog name and this was the picture. I have used it ever since! Quite a few blog friends told me that they like it! So thank you, Stephanie! Please link up your CAS project to CAS-ual Fridays by noon, Thursday, October 4, Eastern Time. I can't wait to check out your blog and project! Thanks so much for stopping by! When I saw The Jars of Joy Challenge over Moxie Fab World, I knew I had to get my jar stamp Picnic out to play. This is my 2nd entry. Here is the first one, in case you miss seeing it. I used the same jar stamp to create a total different look. 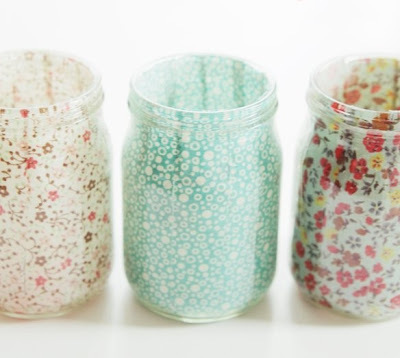 The patterns on the jars look so beautiful and evoke a sense of simple homespun comfort. How do you get that look instantly? Paper-piecing! I found the sentiment from Right At Home (Hero Arts) to be perfect for this card. The pattern paper is from Basic Greys' Picadilly. Thanks so much for stopping by! The latest Embellish Challenge intrigues me. I am sure stripe and dots are the re-occurring theme in all of our card-making world. Before I show you my card, you must see this new stamp I received from my Hero Arts win last month. 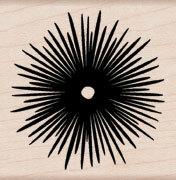 This Single Sunburst stamp is DANDY! I gave it a go with this new stamp...and this is the result. What do ya think? I know, I know, I am NUTS to fussy cut the Single Sunburst image out...but was it worth it? Why, YES, it is to me! I used my latest Lifestyles embossing folder ( the grey wavy lines, paper from Basic Grey) for the strips and incorporated the Raindrop Background for the dots. Then I added SRM Stickers (sentiment) and a Washi tape over the Hero Arts Earth Ribbons. While I post this card, the song "You can't Hurry Love" (The Supremes) came to my mind! The same principal applies to card-making! You've got to take the time and do what you love. There is absolutely NOOO hurry! A quick post about the card I made today. The idea came during my plane ride to Minneapolis. After the ScrapFest, I got sidetracked until I looked through my note book yesterday (yes, I wrote down ideas when I have any!). I strongly encourage you to do so if you haven't already. "Repetition" challenge (Moxie Fab World) ----->last minute entry, mine is the 200th (wow)! This card is 100% stamped and distressed. I used jar image from Picnic. Thanks for reading this e-mail. I just got T!M's e-mail (oh my)! He also commented in the post. i absolutely loved your blog post. thanks so much for sharing the kind words on it. you have a great sense of humor and i loved your recap of the whole thing. That is so TIM, isn't it!? And Wow..... I am so happy to get an e-mail from T!M! Hooray for T!M! 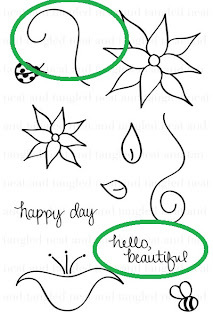 Hello, my dear stamping friends! 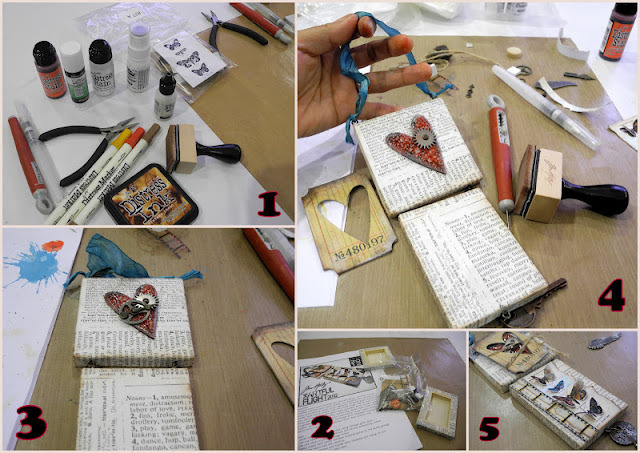 As you know, Tim Holtz is one of the powerhouse in the paper-crafting industry. My highlight of ScrapFest 2012 to Minneapolis was to spend the romantic getaway with Dr. John without the kids meet the one and only---T!M. Taking the class from him was certainly awe-inspiring and fun! I love how organized the class materials, instructions and supplies were laid out in front of you. The first thing that T!M said at the beginning of the class is that his class is all about taking the time and enjoying the process and there is absolutely NO stress in getting the job artwork done. I think we should apply that mentality into our stamping sessions in our very own little craft corners, agree? Isn't the place MASSIVE? T!M would circulate the class and provide help and tips as he went along the class. While I was working away on the class project, he came nearby my table and posed for me (I nearly freaked out and dropped my ink at this point!!). The result--Artful Hanging. The great thing about his class is that you do not have to be a T!M fan to follow exactly what the project is supposed to be. For example, I didn't care for the metal wing for the hanging, so I left it out! And I love it that way. Later, I went for more of T!M's demos as I just can't get enough of it....These are the tags that he made with the fall/winter stamps. T!M explained how to work with Distress Markers, Rock Candy, Distress Stains, types of different paper (Ranger's stamping paper works best, of course, according to T!M), TH pattern paper and Rangers glitter etc. They are all product-based commercials tutorials. I ended up buying some of the stuff that he mentioned. I know, I had no will power! As I was standing there and watching T!M doing the demos, I almost wanted to pinch myself since I had watched numerous T!M's You Tube videos over the years..., but this time, he was right in front of me! To thank you for visiting my blog, I have a recorded demo video of Tim on the basic technique (Stamping with Distress Markers) and thought you may like to watch it. You will not see this on You Tube, only here in my blog (just saying..). I have only 3 TH Distress Markers, but I think you can apply this technique with any makers that you may already have. I am sticking with my good old Marvey Brush Markers for now ( please note that I said it very weakly...I may just give in and buy the whole set next time). T!M is such a great salesman stamping artist....I am totally getting that re-inker (see video here). 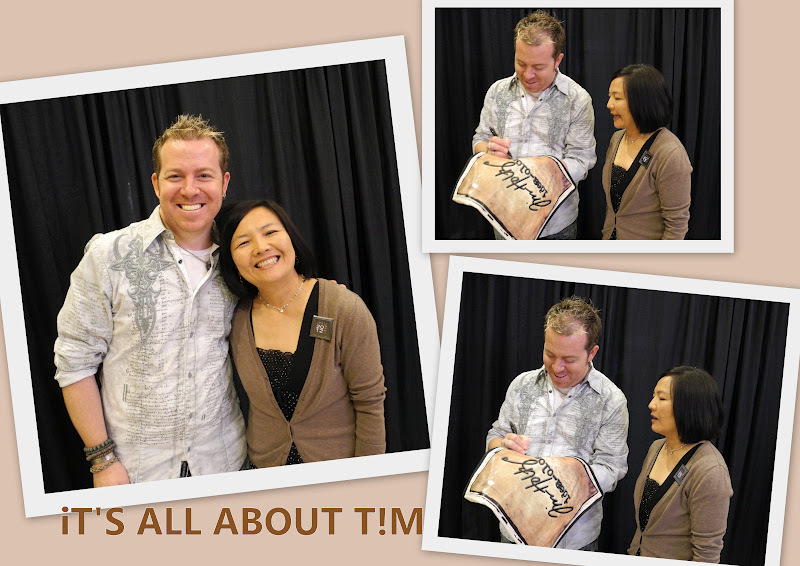 Here is my photo with T!M after taking his class.We get to take lots of stuff home (including that bag that he was signing)! And of course, I had to tell T!M about Dr. John's quest for Relax Inks (to compete with his Distress Inks)....T!M burst out laughing really really hard. I was a little surprised at his reactions. WHAT? No one ever mentioned that to T!M? 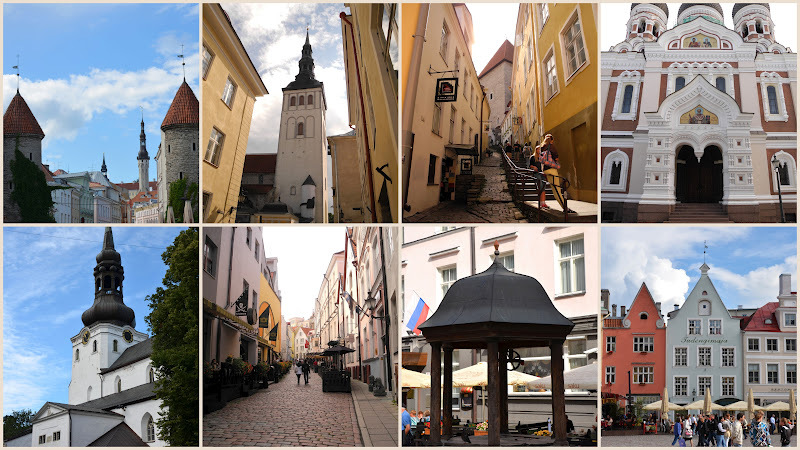 Are you ready to take a virtual visit, this time to Tallinn, Estonia? Honestly, I had little no idea about this magical place before my visit. It is absolutely enchanting! We were all pleasantly surprised how lovely this place is....take a look and you'll see what I mean! Dr. John used his wide angle lens to capture this old town scene! Love it! You can easily see people dressed up for the town event. 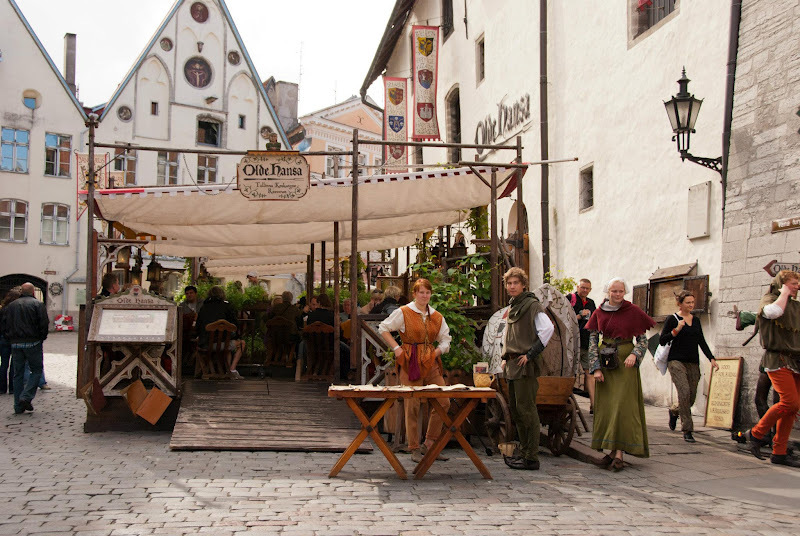 Waitresses and shop vendors wearing medieval costumes are the common sights here. 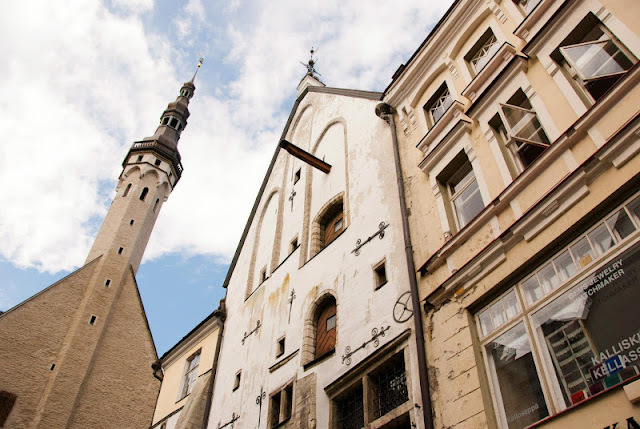 Although it is a very touristy town, we find every nook and cranny quite interesting.I love the gorgeous flower shops, window display, the little train bus and the whimsical street sign. I also adore my grown kids sitting at the sidewalk! Stephanie had fun posing with the shop displays here. She actually bought some new outfits from one of the European department stores! 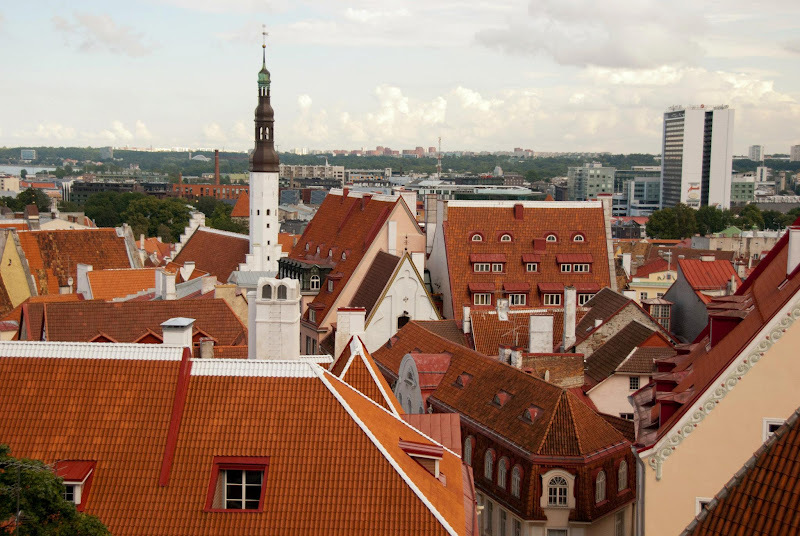 This view (from the lookout of the old town) is simply breathtaking. Isn't this weather vane beautiful? Well, what do you think? Isn't this city charming? Thank you so much for stopping by! 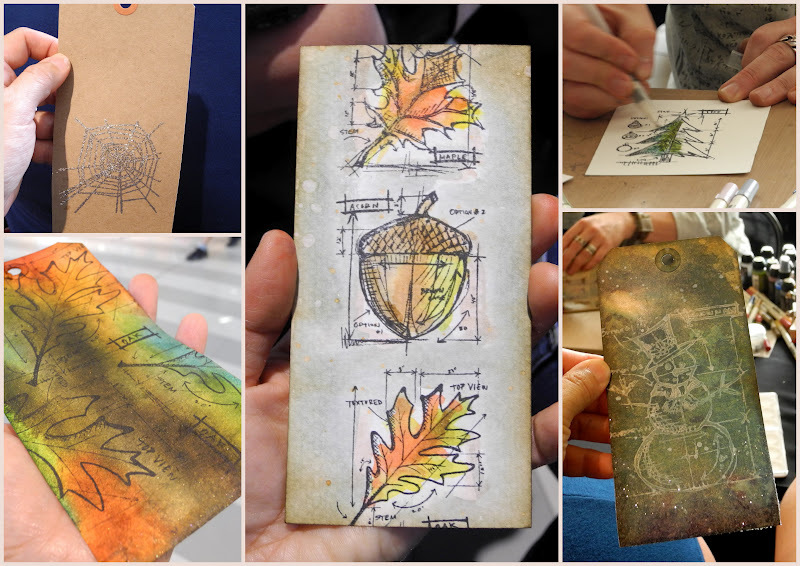 The stamps are from Hero Arts' Delicate Leaf Clusters and Just A Note. I like the Polaroid effect and had attempted to make this look like one. The sentiment is from SRM Stickers. Hope you join the fall fun with us. Please link up your CAS project by noon Thursday, Sept. 27, midnight Eastern Time to CAS-ual Fridays . There is still time to enter my Market Street Stamps Giveaway (check under the banner header link). Wish you a very FABULOUS Fall weekend! 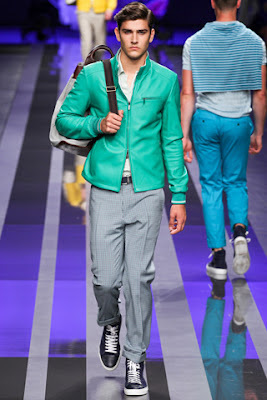 While I was catching up with commenting on blogs, guess what I found? MORE challenges! 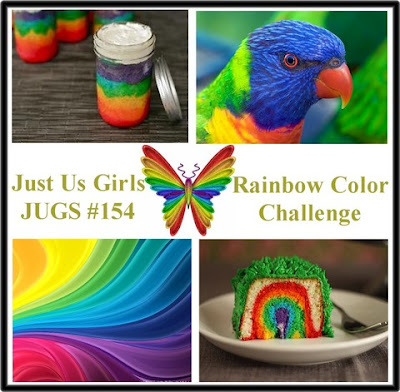 I simply could not pass up the Rainbow theme from Just Us Girls Challenge. With the new twill ribbons (in 12 colors!!) that I bought from Archiver's, I decided to use them for the challenge....but how do I incorporate them into a card? Dr. John: "Is this your card?". V: "Yeah, isn't it obvious?". V: " Oh...look away! You just recovered from your vertigo!" I think I will enter this card for the Focal Point challenge over Moxie Fab world.